Super Junior kyu hyun's plasit surgery? there was an article that says "kyu hyun had a plastic surgery" i didn't know that.. can anyone tell me about that... is that true? please i want to know..
i think that is not true. 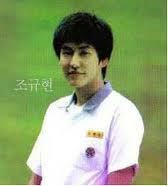 it's not true, kyuhyun oppa did not have a plastic surgery! i heard that he did the double eye lid surgery..
but im not really sure about that..